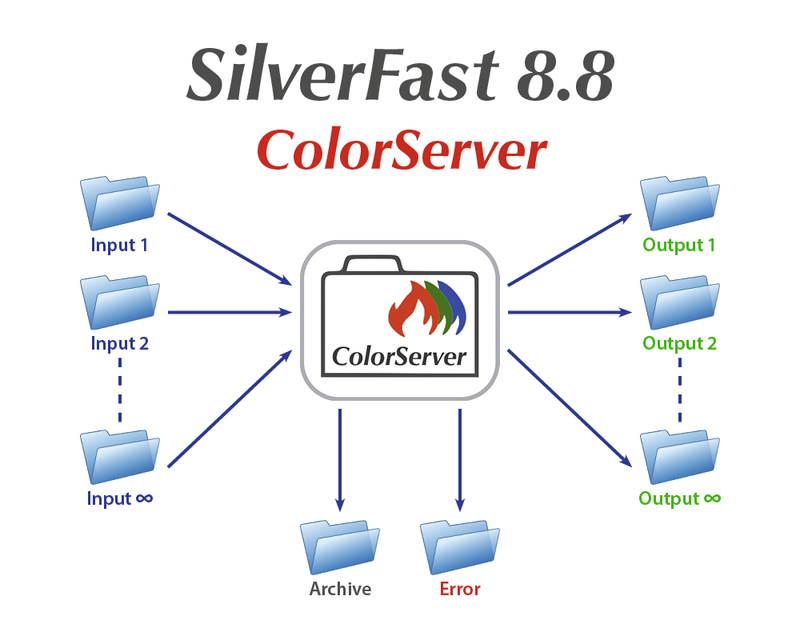 Using the SilverFast ColorServer you will process and optimize your images fully automatically. You create an input folder and a set of image processing rules. SilverFast monitors this folder and applies your rules to all image files, which get stored in this folder. The results can be found in an associated output folder, while your originals are moved into an archive folder. Compared to a manual adjustment of processing parameters for each individual image you can save a lot of work and time using the ColorServer. How is the SilverFast ColorServer working? 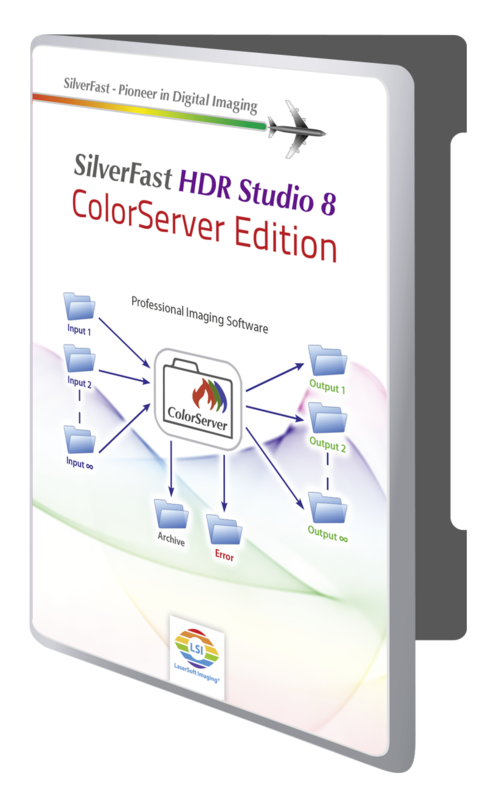 All image optimization features available in SilverFast HDR Studio 8.8 can be added to the ColorServer rules. You can specify additional parameters such as image size and resolution as well as you can perform color space conversions. If you have multiple originals scanned at once, you can use the SilverFast Frame Finding to detect them automatically. Create a separate imput folder for every processing workflow. You can re-use this folder and its processing rules again and again. Each input folder has a corresponding output folder, so you always keep track of your image data. The ColorServer processes image data that you have created with your scanner. Especially data in SilverFast HDRiRAW format are suited therefore. But you can also process images from other sources with the ColorServer. Professional image processing often requires to quickly and reliably convert image files to a different color space. 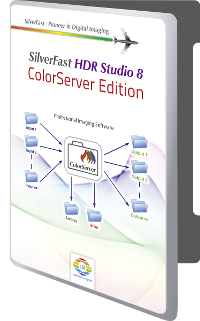 The SilverFast ColorServer ensures an automatic color space conversion according to your specifications. 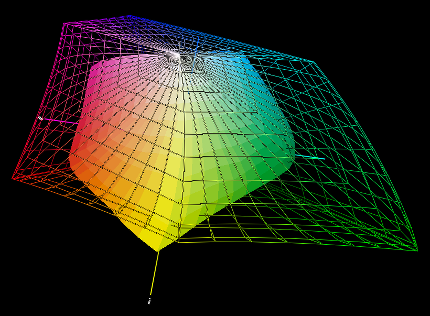 Therefore just select your the desired target color space and the conversion method (Rendering Intent) in the CMS (Color Management System) tab. 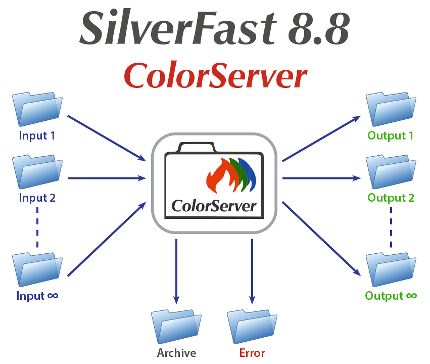 SilverFast ColorServer will convert all files that are moved into the input folder automatically to this target color space and store the output data in the output folder.